I asked my boys if they would let me write a blog post about bedwetting. First Jay asked "what is a blog post?" 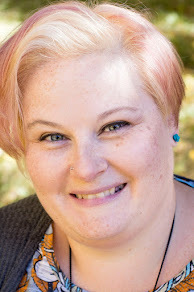 I explained again how mommy writes on her computer and people actually read it. Then he said "YES!! It helps me to not go pee pee in my bed!" Sam didn't seem to care but he helped me take pictures. I know it doesn't take a lot to keep a 5 year old happy but it makes a big difference in our busy morning schedule. Isn't he a cutie? Granted, I did tell him to smile but he really is happy that his GoodNites® Disposable Underwear help keep him dry overnight. I stopped by Fry's because there were some Girl Scouts selling cookies. The car turned into the parking lot all by itself, I swear! What is it about Thin Mints that make them so addictive? Anyway, we grabbed a couple groceries and then my boys reminded me that we were down to our last pair of SpiderMan bedtime undies. They were located just past the medicine in view of the Pharmacy. 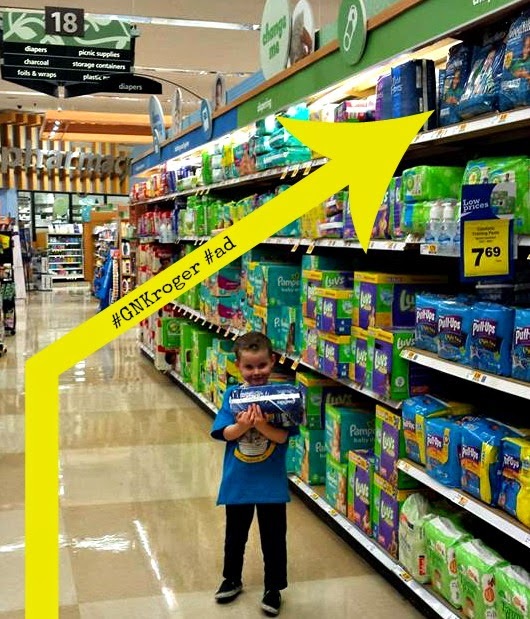 At our store the GoodNites® Disposable Underwear are up on the top shelf so my little guy needed some help to get them in the cart. On the shelf, easy for the boys to grab and put on before bed. They are even cuter when they are sleeping. 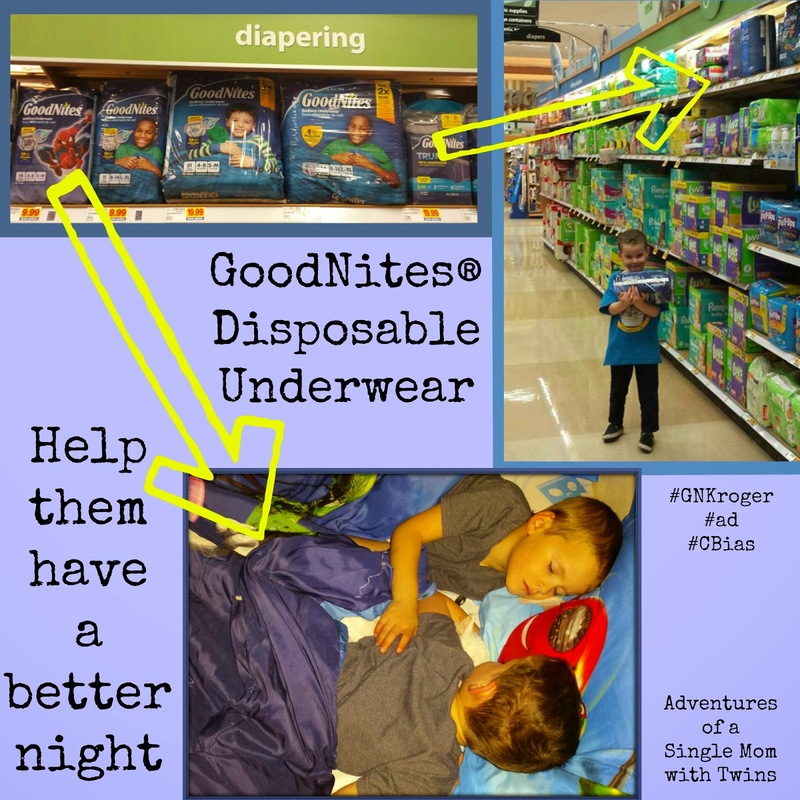 For my boys, getting ready for bed includes GoodNites® Disposable Underwear. They know that putting one on helps them keep their bed dry overnight. I always make sure that they use the toilet right before lights off, and I try to limit how much they drink for the hour before bedtime. 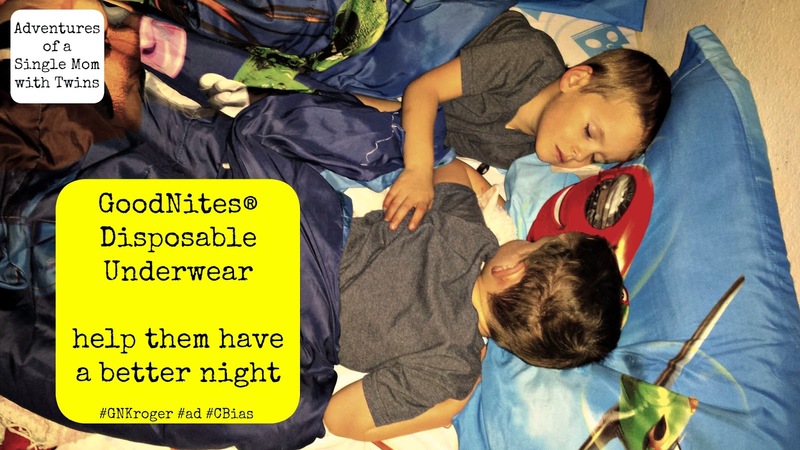 Wearing them gives them confidence and usually keeps my boys from having an accident. 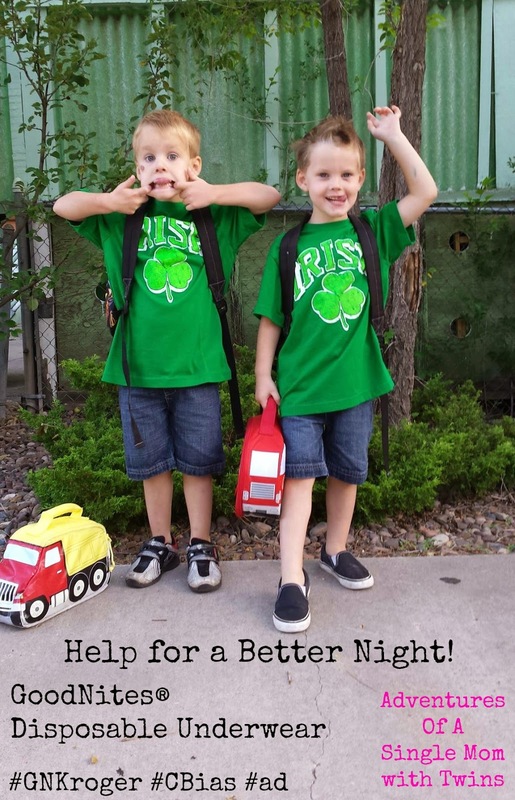 They really do help ALL of us have a better night. As you can see, even mornings are good when we have a better night. 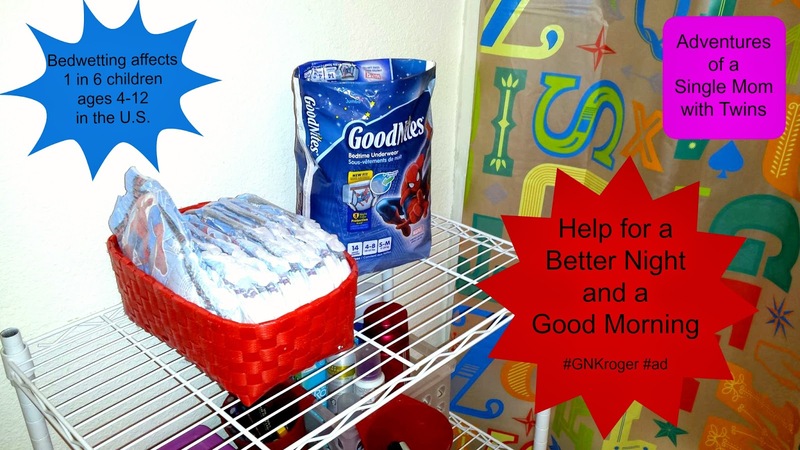 What are your tips and advice for dealing with bedwetting? Enter this giveaway for your chance at some prizes!